This innovative product allows a fan to show their team pride without the flap of a flag. 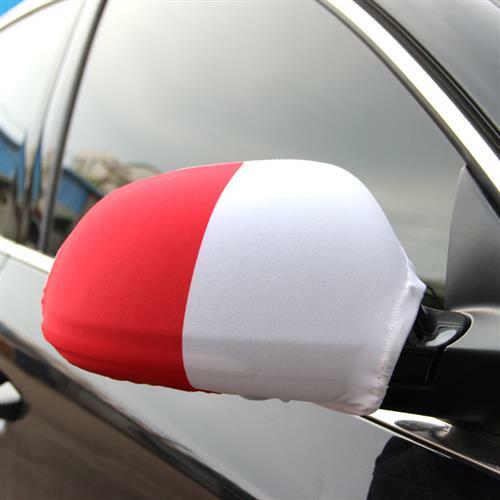 Madefrom a 80% spandex and 20% polyester material the mirror cover simply wrapsaround your side view mirror. Fits most sedans and small SUVs. Comes in a setof two. Screen printed logo or dye sub printing.